Why you should clear the cache partition after updating to Android Lollipop? Finally, most Moto G (including Moto G 2nd Gen) and Moto X (including Moto X 2nd Gen) owners received the Android Lollipop update. 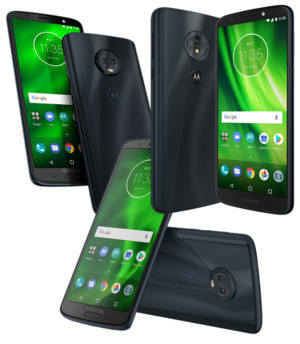 After getting the Android Lollipop update, you may be excited with the many new features (see this post for top 5 new Lollipop features in Moto G and Moto X) and improved performance. 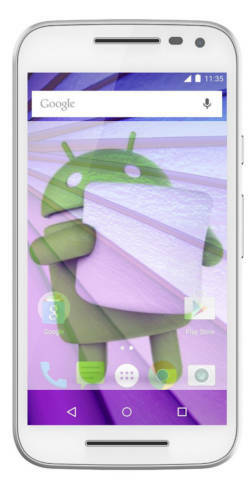 But for some Moto G and Moto X owners, the phone may behave weirdly. A few owners may feel the phone is less responsive although Android Lollipop update should bring a faster Moto G or Moto X. Some owners may face battery drain problems. Again, Android Lollipop should give you slightly longer battery life on Moto G (including Moto X 2nd Gen) and Moto X (including Moto X 2nd Gen). So, what’s wrong with the Android Lollipop on these phones? Someone may suggest you to do a factory data reset. But it is usually not necessary. Very often, the weird behavior or poorer performance is caused by some leftovers in your cache partition. Clearing cache partition can surprisingly solve most of such problems, without losing any personal settings. Actually, you should clear the cache partition after any major Android update. Will clearing cache partition remove my files or accounts or apps or settings? Clearing cache partition does NOT affect any of your settings. It does NOT delete your files or accounts or apps. In short, clearing cache partition is totally different from factory data reset, which will erase all your data, apps and settings. Normally, factory reset is the last resort to solve software related issues. Before trying factory reset, experienced Android support engineer will try to clear the cache partition first. Most of the problems can then be solved without resetting the phone. After the Android Lollipop update, the procedures of clearing cache partition on Moto G and Moto X are slightly changed. If you follow old guides, you may find you cannot get the wipe cache partition option in recovery mode. I will highlight this next. Press and hold power button for about 2-3 seconds. You should get the Power off option on the screen as shown below. 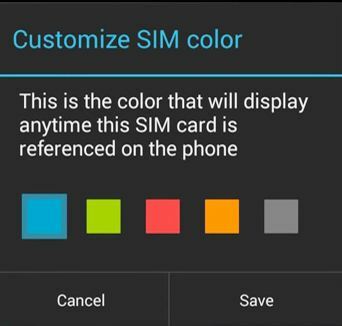 Update: For Moto G 2015 (Moto G 3rd Gen) or Moto X 3rd Gen (Moto X Pure edition, Moto X Style and Moto X Play), because Android Lollipop 5.1 is pre-installed, you should be able to find the icon in quick settings panel. If not, you can also follow this guide to enable the auto-rotate screen option. 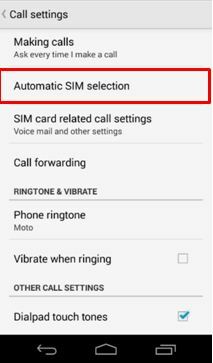 After updating your Moto G (including Moto G 2nd Gen) and Moto X (including Moto X 2nd Gen) to Android Lollipop (Android 5.0, you may refer to this post on top 5 new features in Android Lollipop update for Moto G, Moto X and Moto E), you may find you cannot enable auto-rotate screen because you cannot find the settings in the Settings–Display as in Android KitKat. 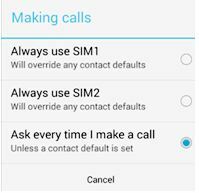 If you go to quick settings in Lollipop in Moto G or Moto X, by default, there is also no icon for auto-rotate screen. 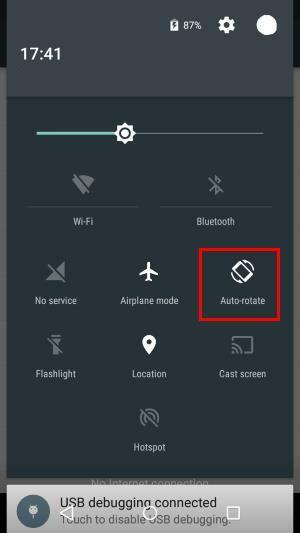 Is auto-rotate screen removed in Android Lollipop update for Moto G and Moto X? The answer is no. Auto-rotate screen is an essential feature in today’s smartphones. Motorola is not so crazy to remove such a feature. 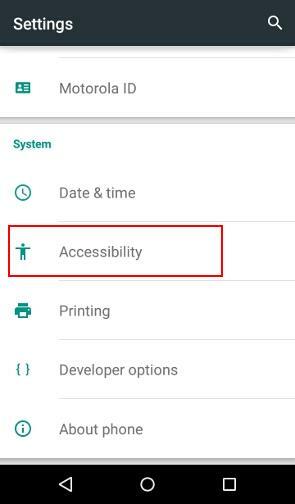 In the Android Lollipop update for Moto G and Moto X, auto-rotate screen setting is just placed under Settings—Accessibility as shown below, not the old location (Settings–Display). Once you enabled the auto-rotate screen, you will be able to find the corresponding icon in the quick settings panel as shown below. You only enable auto-rotate screen once from Settings–Accessibility. From now on, you can just use the quick settings panel to quickly toggle on auto rotate screen or lock it to Portrait mode as shown below. 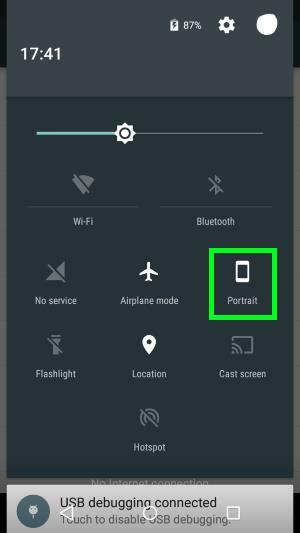 If you are not familiar with the quick settings panel in Android Lollipop, please check this guide. Please note, you can only lock the screen in portrait mode. 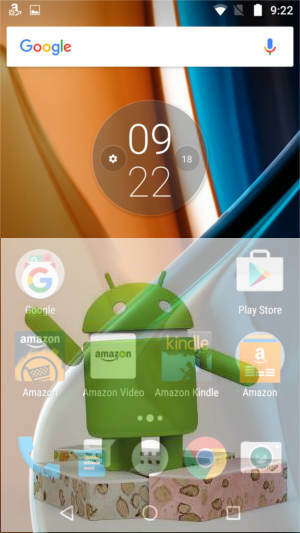 There is no way to lock the screen in landscape mode for Moto G and Moto X because most pages of the Google Now launcher only work in portrait orientation. 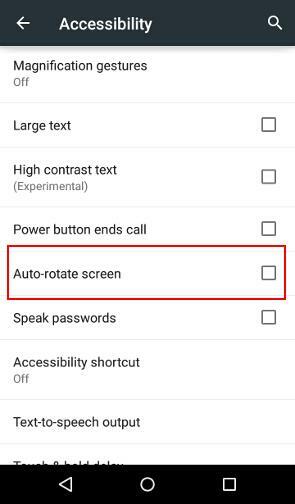 If you need to work in landscape orientation in your Moto G or Moto X, your only option is to enable auto-rotate screen. Another exception of screen orientation is the Camera app. Camera app does NOT respect the auto-rotate screen settings.